Xiaomi MI 5 Prime specifications adopted full metal design with 3D glass to achieve exquisite design of MI 5 Prime . It features 5.15 inches display, Qualcomm MSM8996 Snapdragon 820 Quad Core 64 bits Processor, Fingerprint identification, 16MP dual rear camera and 4MP front camera, 3000mAh battery, Fast Charge 3.0, dual sim and dual standby, 4G RAM + 64G ROM, Global OTA Updates, LTE. 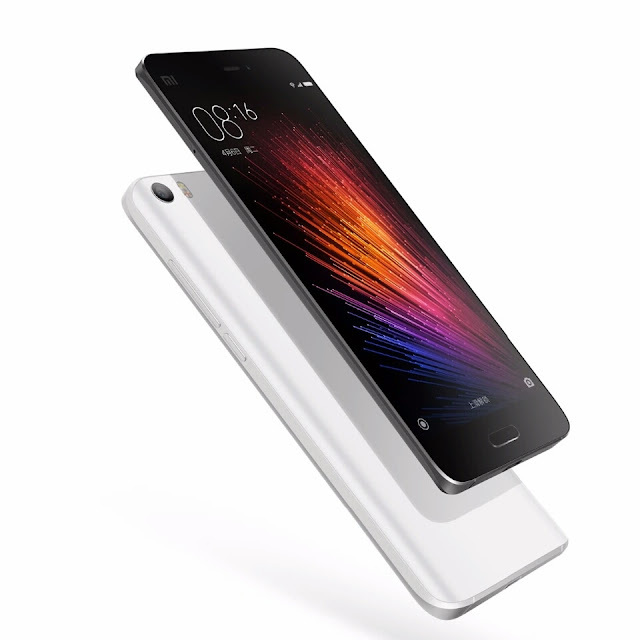 Xiaomi MI 5 Prime comes with 5.15” big screen with 1920 x 1080p resolution. The IPS LCD Capacitive touch screen with 16M color features 428PPI Pixel density and a multi touch support. Under the Corning Gorilla 2.5D glass 4 the 73.1% body to screen ratio display, delivers seamless display with vivid colours. Also the MI5 Prime is equipped with 16 Ultra bright, power efficient LED light that enhance the display brightness. Powered by Qualcomm MSM8996 Snapdragon 820 Quad Core processor for high speed performance. Adreno 530 GPU that is 40% faster, ensures smooth running of graphics, MI 5S can handle everything you throw at it, coupled with the 3G/4G/6G RAM, you in for a high level multitasking. System runs Android OS (Android 6.0 Marshmallow) upgradeable to Android 7.0 ( Nougat). Equipped with a single rear facing camera of 16MP sensor for excellent pictures. It features f/2.0 aperture for taking in more light, Automatic phase detection autofocus, Optical image stabilization (4-axis), Dual LED flash. Also the camera comes with 1/ 2.8” sensor size , 1.12 µm pixel, geo-tagging, touch focus, panorama, HDR. Front camera is not left out with its 4MP camera that comes with f/2.0 aperture, 1/3” sensor size, 2µm pixel for taking quality selfies. Dual Nano sim and dual standby. Dual sim enables you to have 2 sim in one phone, the intelligent standby helps you in keeping balance with work and your personal life. With the MI 5S aPlus network coverage, you won’t fear migrating with your sim because MI 5S has got you covered. Comes with Non-Detachable 3000mAh li-polymer big battery that supports quick charge 3.0 to give you a full battery charge in less than 90 minutes. On a full charge you get a massive time on standby, you can go days with it even on a heavy use. The MI 5Prime doesn’t heat up when on heavy use, and it has a constant charging speed even in use. Security has always been a great concern to smartphone users, therefore Xiaomi considered that and equipped the MI 5 Prime with front mounted fingerprint identification sensor for high smartphone security. Phone security has never been such easy, secure and efficient, with just slight touch on the sensor you unlocks your phone on a speed of 0.1S. Either 32G/ 64G internal storage version/ 128G internal storage version. The Prime doesn’t have provision for external storage, but with the massive storage space, you can as well become your own boss with enough freedom to storage without any limitations.